One of the first graduates of York University’s dance program, Carol Anderson has pursued a diverse career as a dancer, choreographer, teacher, artistic director, consultant and writer. She started her performing career with pioneer Judy Jarvis’ dance theatre company. In 1974 she became a founding member of Toronto’s Dancemakers, culminating fifteen years with the company as artistic director from 1985-1988. Anderson’s choreography for the concert stage, theatre and television has been supported by awards and critical acclaim, and has been performed across Canada, in the U.S., Britain, France and China. Since 1988, she has often worked with Canadian Children’s Dance Theatre as a teacher and choreographer, and has contributed ten works to the company’s repertory. A dance scholar with a lively interest in dance writing, since 1988 Professor Anderson has frequently worked with dedicated dance archives and publisher Dance Collection Danse. She is the author of numerous articles on Canadian dance and dancers, since 1997 has written thirty-seven editions of “Carol’s Dance Notes,” and has authored, co-authored and edited twelve books. 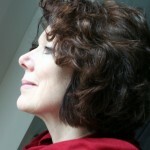 Anderson is currently on the board of Claudia Moore’s MOonhORsE Dance Theatre, and of the Hnatyshyn Foundation; she was a member of the Laidlaw Foundation’s Performing Arts Committee from 1998 to 2006. She is a member of the Society for Canadian Dance Studies, a member of the Toronto Heritage Dance collective, and the CDA. She has worked as a consultant to many cultural agencies, often with a focus in the area of youth and dance. She teachers both studio and theory courses at York University, and continues to perform selectively. Image: Carol Anderson in her work Windhover (1982). Anderson, Carol. Lola Dance: Lola MacLaughlin A Life in Dance (2010). Anderson, Carol. Unfold: A Portrait of Peggy Baker (2008). Anderson, Carol and Katharine Mallinson. a cultural history, Lunch with Lady Eaton: Inside the Dining Rooms of a Nation (2004). Reflections in a Dancing Eye: Investigating the Artist’s Role in Canadian Society. Eds. Carol Anderson and Joysanne Sidimus (2004). Anderson, Carol. Chasing the Tale of Contemporary Dance Parts I and II. Dance Collection Danse Press/Presses (1999/2002). Anderson, Carol and J. Gordon Shillingford. Rachel Browne: Dancing Toward the Light (1999). Anderson, Carol. This Passion: for the love of Dance. Dance Collection Danse Press/Presses (1998). Anderson, Carol. Judy Jarvis Dance Artist: A Portrait (1983).